Many people know that the word Pulmonary relates to the lungs. Pulmonary Function Testing is a group of tests measuring how well the lungs take in and release air and how they move oxygen from the atmosphere into circulation in the body. The Pulmonary Function Diagnostic Testing completely evaluates the respiratory system. The Doctors and special technicians in our Westland, Michigan Medical Clinics look at the patient history, physical exams, chest x-rays, possible arterial blood analysis and other Pulmonary Function Tests. Pulmonary artery – artery that transfers oxygenated blood from the heart to the lungs. Pulmonary vein – vein that returns oxygenated blood from the lungs to the heart. 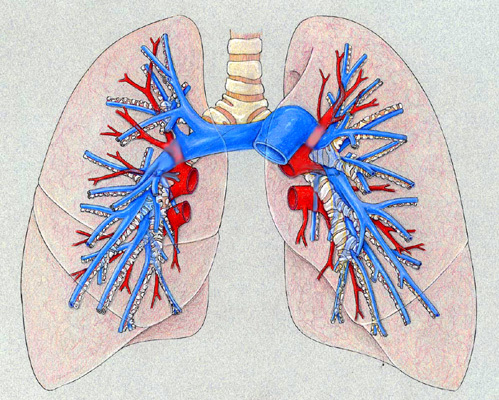 Pulmonary circulation – the circulation of the blood to and from the lungs. Our Westland based Medical Clinic offers Diagnostic Testing to patients in need of Pulmonary (lung) related Function Testing. Our clinic welcomes patients from nearby cities in Oakland County like; Farmington Hills or Farmington Michigan. Located on Wayne Road in Westland, Michigan is our Millenium Medical Group West Clinic. Our Primary Care Doctors perform Pulmonary Function Tests for patients in nearby cities like Garden City, Dearborn, or other Wayne County cities. Please contact either office to schedule an appointment and let our Medical staff start the diagnostic testing that is right for your Pulmonary medical condition.